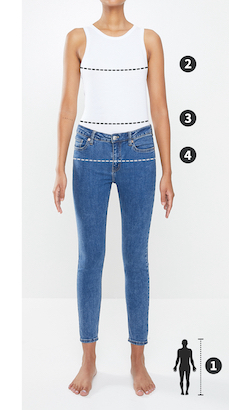 Update your selection of denim with this standout pair of skinnies. They feature a standard 5-pocket construction, zip-up fly, bleached wash and frayed hem for a 90s look. Complete the aesthetic with block heeled mules and an oversized striped shirt.